Today Rocksteady Games and Warner Bros. have announced the next game in the extremely popular and critically acclaimed Batman Arkham series. Batman: Arkham Knight will launch later this year, and will serve as the conclusion to the trilogy encompassing Arkham Asylum and Arkham City. Arkham Knight sees development duties return to Rocksteady, who produced the first two games in the series; as opposed to Warner Bros. Games Montréal, who worked on the series' prequel Batman: Arkham Origins. This news should please many Arkham fans, who generally felt Warner Bros. in house studio wasn't as competent at creating an Arkham game. For the first time in Arkham games, you'll be able to drive the Batmobile around the streets of a much larger Gotham City, with streets wide enough to make the Batmobile a useful form of transportation. Villains you'll encounter include Scarecrow, Penguin, Two-Face, and Harley Quinn. Batman: Arkham Knight will launch October 14th on PC, Xbox One and PlayStation 4. Rocksteady co-founder and game director Sefton Hill stated in an interview that developing for 'next-gen' platforms has "allowed us to bring to life the design elements that we envisioned from the beginning such as the Batmobile and how it augments Batman’s abilities, to the fully detailed and realized Gotham City." He went on to say that "we kind of feel like this is the natural end to the story. We want to kind of go out in style." 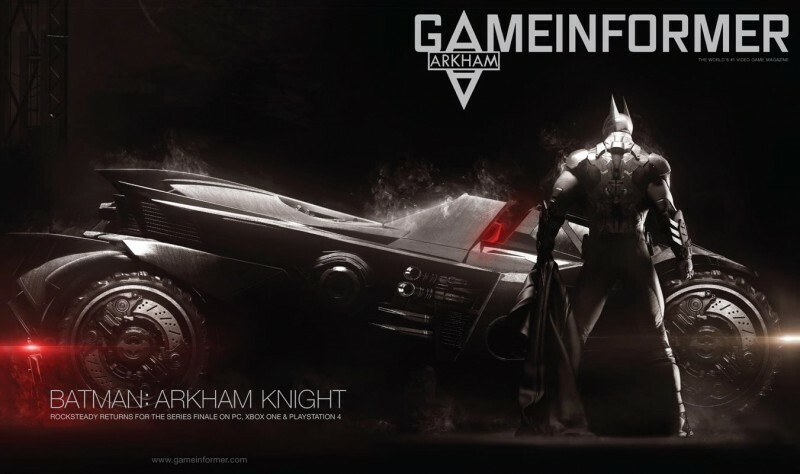 To get a preview of just how the game might go out in style, check out the announce trailer below, and expect more info about Arkham Knight in next month's Game Informer.